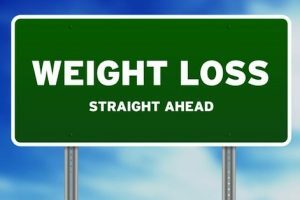 There is often a misconception that if someone wants to lose weight they have to go on a diet. This usually translates in people’s minds with following a specific popular weight loss diet regime, usually a quite rigid one. It does kind of make sense as it is the way people eat which is most likely the reason they put on weight. 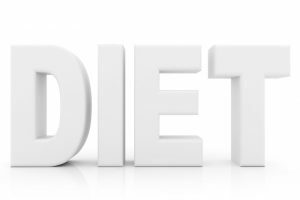 I will always preach in favour of following a healthy balanced diet, however, you don’t always need to ‘go’ on a diet or follow a specific diet, or even radically change all your eating habits. 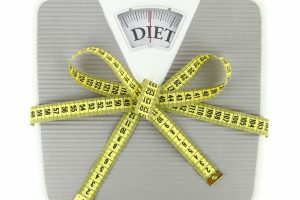 There are loads of little ways by which people can cut the calories down without a radical diet makeover and still lose weight. 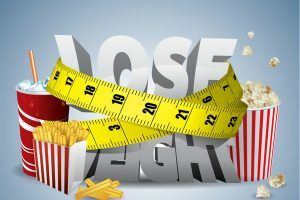 Read on these weight loss tips on how this is possible. 1. Tackle the portion size. The simplest way to cut down on the calories is to reduce the size of the meal portion. What the meal contains will make a difference for both health and weight; however if your diet is more or less healthy and balanced or if you are really determined that you don’t want to change what you eat, then go for portion size. This does not mean starve yourself by all means or skip meals. If you were going to have a burger and chips have a small burger and half of the amount of chips you would usually eat. a) If you have an extra large plate and ½ of it is empty you may process this as not enough food or be tempted to fill it. b) If you have a medium sized dinner plate and is full psychologically you could think that this is enough food. Calories from fizzy and sugary drinks are the one’s which tend to go unaccounted for. Possibly because people don’t tend to think that a glass or two of fizz could tip the scales over. Well a small size cup (16 fl oz/ 345 g) of the classic coca cola* from burger king contains as much as 150 kcal. The glass that you may consume at home is not that far off on the calories. How many of those do you usually consume per day? Do the maths to see how many calories you could avoid. Stick to only 1 or 2 glasses a day or opt for sugar free or low calorie ones. However, be aware that some artificial sweeteners commonly used in fizzy drinks have been questioned regarding the health risks they may carry if over consumed. Like the fizzy drinks, a lot of the pre-packed fruit juices and fruit drinks can also be as calorific. For example 1 can (12 fl oz / 436 g) of breakfast type orange drink with juice can contain as much as 665 kcal. Having second thoughts about that glass you had for breakfast? Offices, schools, and workplaces in general tend to house a biscuit tin in the kitchen or common area, or a snacks vendor. The same way dampness breads bacteria, offices bread calories. If you add the couple of biscuits with the packet of crisps and the energy bar you had you will probably find that you had an extra meal. Always carry some healthy snacks like a fruit or a handful of nuts to cover you if you get a craving or the munches and try to say no to the very tempting box of chocolates. Ok maybe I should rephrase this in skip some cereals, but I must admit I am not part of the cereal fun club all together. Breakfast is an important meal so treat it with respect. Why should you avoid the most popular breakfast and snack? 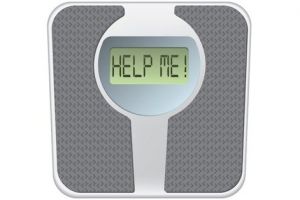 There are 2 ways that you could potentially be saving yourself from extra calories. a) A lot of the advertised as ‘healthy’ cereals contain enough sugar to cover the needs of the whole neighbourhood. Apart from the fact that too much sugar is not good for the body, they can also contain a lot of calories. I would first suggest to replace your cereal breakfast with a protein based one such as boiled eggs. However, if you have to have cereal it helps to read the labels and chose the lowest in sugars and calories. b) I have spoken about the sugar – insulin vicious cycle in previous articles. Basically you if you have loads of carbs for breakfast you are likely to get hunger cravings half way through the day and end up with a snack. On the other hand with a protein based breakfast you are more likely to feel full for longer and thus not need a snack before lunch. Cereal bars play on a similar tune; too many calories and too much sugar. If you do the maths is pretty obvious that stewed will have the least calories, however, if not to your taste you can still roast or grill food and be as tasty. If you skip frying for majority of ingredients/meals then you could be well on your way of cutting 200 kcal daily (if not more). Freshly prepared foods tend to be less calorific than processed foods. One main reason is that they usually contain loads of carbs and sugars, especially if they are in a sauce. Replace the frozen chicken nuggets with fresh chicken pieces. Ideally you want to skip the breadcrumbs as well but if you have too… Don’t forget to avoid deep frying it as well (see above). Chicken skin and fat in your steak can add extra calories. Yes it can be really tasty sometimes when all crispy but it will not do any favours to your waistline or your health. Try to buy lean meats or cuts where the fat is visible and remove majority of it. Do the same with bacon as well. It is a fair amount of calories there.